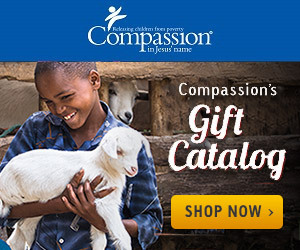 Currently, on Compassion's website, there are 54,564 children waiting for a sponsor. That number is double the population of the town I live in. It is hard to even imagine that many children waiting for a sponsor. Yes, I do share about Compassion...a lot! But as many of you know, I have seen firsthand how amazing this organization is! The work they are doing through the local churches in 25 countries is helping to make a difference in the lives of many children and their families. Today, there are children in Togo and Ghana who have been waiting over 6 months for a sponsor. Today, there are children who are celebrating another birthday, wondering when someone will decide to choose them. Today, there are young adults who are nearing their completion date and just want to finish well. Today, you can choose to give your heart away and say 'yes'! You can choose to invest in the live of a child growing up in extreme poverty. You can choose to pray for this child, encourage this child, and give hope to this child.